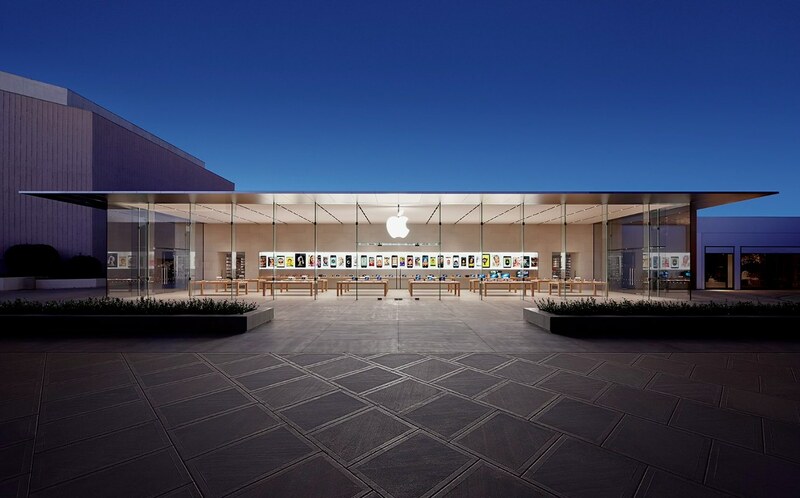 Apple recently completed the construction of their new Stanford retail store. The design of the store utilizes almost entirely glass walls and roof for an abundance of natural lighting that conserves electricity. This also produces a more open and clean appearance. Glass allows those inside to enjoy the natural surroundings, and those outside to view what’s going on inside the building. Depending on the ambient lighting conditions, glass can sometimes reflect the sky and other surroundings.